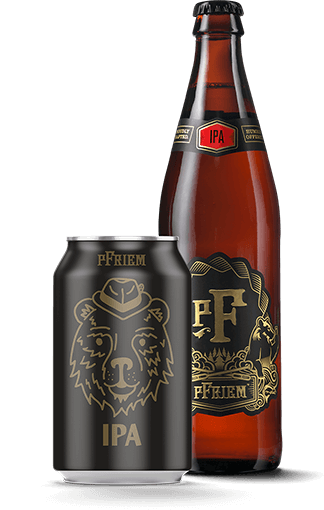 pFriem Brut IPA got its name from the wine world; in champagne, brut means very dry. It begins with gentle aromas of sugar-covered peach and guava. Notes of papaya, watermelon, Vinho Verde, and pineapple leave a round, effervescent memory of fruity refinement in their wake. Try a new kind of IPA - try dry! As craft beer has emerged and grown, so has IPA! IPA has helped grow Craft Beer to what it is currently today. There are now many shapes and forms of IPA, but they all share bright aromatic hop aroma of citrus, tropical fruit, and pine. Exploratory IPA #10 may mark the next step in the storied evolution of the IPA. While for the past few years Craft Beer fans have been fascinated by the sweet, hazy and tropical IPA’s of New England, and Brewers the world over have been quick to brew them up, a new style has emerged. With roots in the Bay Area, the Brut IPA is about as different from a Hazy as San Francisco is from Boston. It begins with a very simple malt bill of 2 row pale. Next, an enzyme is added to the mash to ensure that 100% of the complex starches bound up in the grain are converted to fermentable sugars. Very few hops are added to the boil. They’re rather conserved for the Dry Hop where instead of contributing bitterness, they will instead offer only their bountiful aroma. The Brut IPA is then allowed to ferment to the absolute dryness 0°P. The result is the quenching, fruity, effervescent elixir before you. A whipped merengue rests weightlessly atop a glass of golden straw. Gentle explosions of powdered sugar-covered raspberries, peaches, pear, guava and melon bombard the olfactory before a cavalry of fruit canters across the palate. First, the forward guard of papaya and white wine grapes, next the mid-lieutenants watermelon and lychee, and finally the rear admirals Vinho Verde and pineapple. Before we know it, they’ve gone; and left only the dry, round, effervescent memory of their fruity refinement. Dark chocolate, strawberries, cantaloupe and prosciutto. Spicy Thai dishes, Cured meats and Fried Chicken. Rich and hearty burgers, French fries and complex pizzas. Aged cheddar cheese, aged meats, and pickled vegetables. Indian cuisine that is spice forward and balanced by yogurt and cream-based sauces.